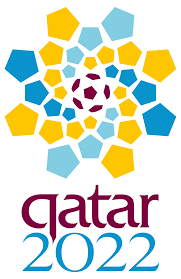 A coaliti on of human rights groups (such as Amnesty International, Gulf Centre for Human Rights, Human Rights Watch, International Trade Union Congress, Transparency International and the World Players Association) has sent an open letter to FIFA president Gianni Infantino to confirm that any country chosen to share World Cup 2022 games with Qatar will meet world football’s new ethical standards. The possible expansion of the next World Cup from 32 to 48 teams is top of the agenda at a meeting of the FIFA Council in Miami on Friday, with Infantino keen on an idea that would mean Qatar having to share the World Cup with other nations in the Middle East. That idea would need Qatar’s approval, which is far from certain as it has been locked in a bitter diplomatic dispute with Bahrain, Egypt, Saudi Arabia and the United Arab Emirates since June 2017, but the more neutral Kuwait and Oman have been suggested as possible co-hosts. Sports writer Rob Harris wrote on 11 December 2018 in the News Tribune “Mary Harvey goes from soccer champ to human rights leader“. It concerns the parcours of Mary Harvey a football player now becoming head of the Centre for Sport and Human Rights. 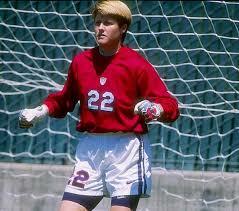 As goalkeeper she helped the U.S. team win the Women’s World Cup in 1991 and the Olympic soccer title five years later. “As a women’s national team, we didn’t set out to have wide scale impact, but we did,” Harvey recalled in an interview with The Associated Press and.. “that’s what I wanted my life to be about: the ability to impact others in a positive way.” Moving back to the USA she will head the Centre for Sport and Human Rights, hoping to make compliance on labor and discrimination issues central to whether a country can host a major event. After starting her career as a consultant in the private sector, Harvey led development work at FIFA from 2003-08, helping formulate a human rights strategy [see: https://humanrightsdefenders.blog/tag/fifa-human-rights-advisory-board/]. Afghan authorities suspended the head of the soccer federation and other officials this month after media revelations of allegations of sexual and physical abuse of female players. Harvey hopes the Centre for Sport and Human Rights can be an outlet for athletes, officials or workers around sport to report wrongdoing and have their safety protected. “Human rights defenders are targets,” Harvey said. “We can’t operate with any sort of fear of what we say or do and how that affects funding,” Harvey said by telephone. “We have to be able to operate independently and provide a free service.” The center was launched in June [see: [see: https://humanrightsdefenders.blog/2018/06/27/new-global-center-for-sport-and-human-rights-created-to-address-abuses/] and is chaired by former Irish President Mary Robinson, who has also served as UN High Commissioner for Human Rights. The report covered the period from October 2017 to September 2018, and while it highlights progress it also shows soccer’s governing body still has a lot of work to do. The advisory board only began its work in March 2017, and described human rights as “still in the relatively early stages of being embedded in FIFA’s culture,” acknowledging that past decisions and contracts make it hard to deal with human rights issues. That can be seen by the large number of recommendations involving the Russia 2018 World Cup and the Qatar 2022 World Cup. Of the advisory board’s six recommendations for Qatar 2022, FIFA still has work to do in two areas: using its leverage to try and improve the ‘kafala’ labor system so that it is more in line with workers’ rights, and encouraging companies linked to World Cup-related employment to do more to meet international human rights standards. The focus on World cups misses out on the same issues at the Club World Cup which takes place in the UAE in December 2018. The human rights advisory board’s existence appears in some respects to be a reaction to the criticism FIFA received over the decision to award Qatar the right to host the 2022 World Cup, but the World Cup is far bigger than just the stadiums, and ..FIFA’s narrow focus on stadium workers means it misses the chance to create a long-term positive World Cup legacy in regards to human rights. The report highlighted that FIFA “needs to invest in a sustainable approach” to human rights rather than just provide superficial fixes. Improvements that are made when issues are in the spotlight are often fluid and can be rolled back once the world’s attention swings to another issue. One issue that the advisory board brought up, and which will be addressed in more detail in the next report, is how women in Iran have been banned from attending men’s soccer matches. On 25 June 2018 a new Center for Sport and Human Rights was established to curb human rights abuses tied to sports and assist victims. The Geneva-based center will also address abuses linked to mega-sporting events such as the Olympics and the World Cup, under way now in Russia [see also: https://humanrightsdefenders.blog/2018/06/07/the-bravest-world-cup-team-in-russia-fifa-human-rights-defenders/]. The center was established under the auspices of the Institute for Human Rights and Business (IHRB), and is chaired by Mary Robinson, the former president of Ireland and former United Nations high commissioner for human rights. The Centre for Sport and Human Rights will seek to provide resources for learning and remediation, working to limit and ultimately eradicate the serious human rights violations that often accompany world sporting events. It will seek to increase the accountability of those involved, provide a space for victims to share their stories and seek justice, and help prevent future human rights abuses tied to sports. The platform is an unprecedented coalition of intergovernmental organizations, governments, sports bodies, athletes, local organizing committees, sponsors, broadcasters, nongovernmental organizations, trade unions, employers, and national human rights institutions that have come together to show that sport has the power to create positive change. The Center includes sports organizations like FIFA (The International Federation of Football Association), the International Olympic Committee, UEFA (The Union of European Football Associations), the Commonwealth Games Federation, and other sport institutions seeking to better manage the human rights risks associated with their competitions. It will also include non-governmental watchdogs like Human Rights Watch, Amnesty International, Transparency International, global trade unions, and the UN Office of the High Commissioner for Human Rights.